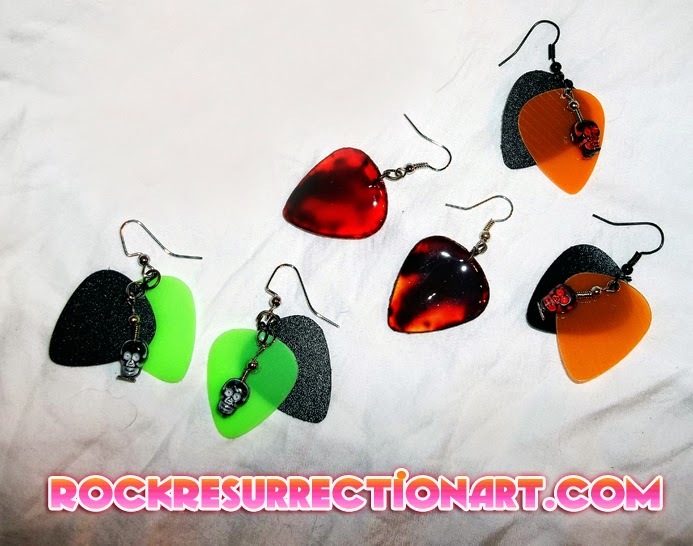 Rock Resurrection Art : Skull Guitar Pick Earrings and more! Skull Guitar Pick Earrings and more! Here is my first batch of earrings for the Halloween season! Outer pairs feature painted skull charms with the guitar picks. The center is a cracked bloody pair of guitar pick earrings. These pairs are all ready to rock Halloween! They are now posted in the store! Get them before they're gone!